Welcome back to my second post tonight! 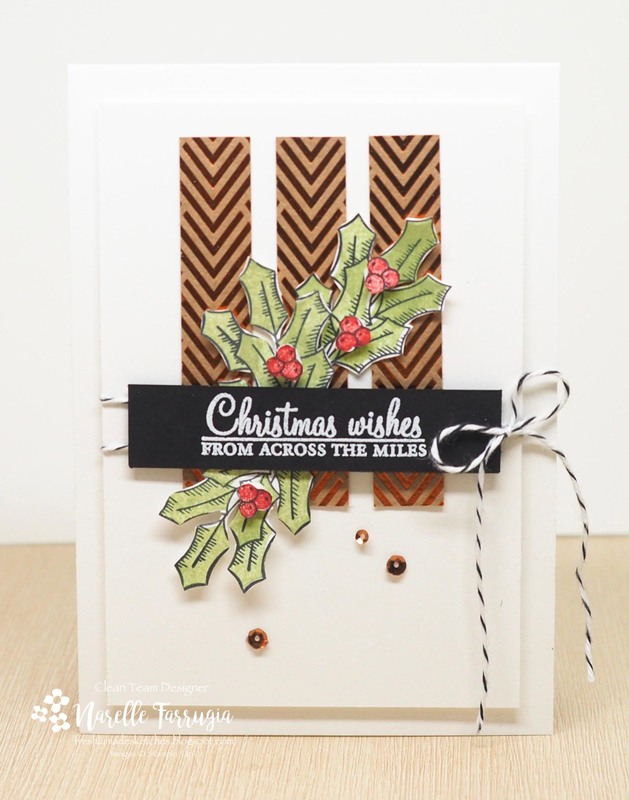 The card I’m sharing is for the latest sketch challenge at Freshly Made Sketches. This week our sketch has been designed by the wonderfully talented Kim Singdahlsen. Christmas cards have been put on the back burner for the last couple of weeks while I continued my love for florally feminine cards and wedding cards. I am using Stampin’ Up!s Holly Berry Happiness stamp set for my card. This set is a two step stamp set. This means that there is an outline image and one that colours the centre. The berries are also stamped with the same process. These stamps are perfect for when you don’t have a lot of time to watercolour or use markers to give your images colour. Of course I then slow down the whole process by fussy cutting, but I just can’t help myself! The sentiment I have used is also from Holly Berry Happiness. 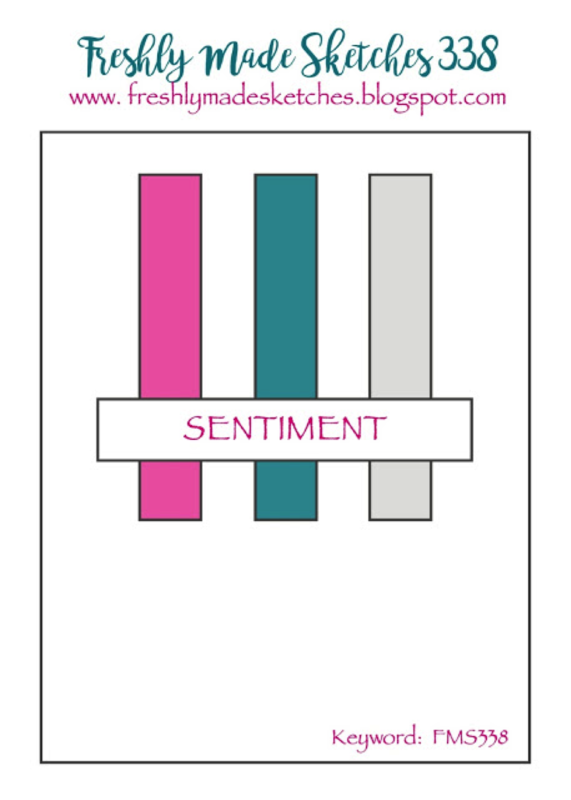 I have heat embossed the sentiment with White Embossing Powder on Basic Black Cardstock. The strips of DSP in the background are from Foil Frenzy Speciality Designer Series Paper. I like the glitzy feel of this DSP with the shiny copper chevrons. To finish off my card, I added some Black Bakers Twine and Copper Sequins. We love seeing everything you create in our gallery every week. The team have totally nailed the sketch – pop over to Freshly Made Sketches and take a look! I love that DSP for your background! Great holiday card! Beautifully done, Narelle! I love this dsp for a Christmas card. Beautiful Chistmas card and I love the font on that sentiment! I really like your ideas on the way you arrange the holly..
Gorgeous card Narelle! I love those holly leaves! So perfect for Christmas! Love the sentiment and the sequins!!! Fantastic Christmas card! I love how you did the sentiment in white on the black background. It’s a great contrast to the colors of the holly and the chevron DSP. I love the pop of Christmas color on top of the copper chevrons – a fabulous combination!